While Auckland has already implemented a comprehensive shared space program in its city centre over the past four years, Vienna – which started implementing pedestrian streets 40 years ago – has just opened its first shared space as part of the redesign of Austria’s most prominent shopping street, Mariahilferstraße, in November. While both shared space approaches are characterised by a level surface that is shared by pedestrians, cyclists and motor vehicles, Auckland’s approach clearly favours pedestrians by giving them absolute priority and speed limits as low as 10 km/h. In contrast, Vienna’s approach builds on equal treatment of all traffic modes and has a higher general speed limit of 20 km/h (with the option of increasing it even to 30 km/h). Auckland’s approach also seems to more strongly discourage through traffic. Striking similarities in the implementation of shared spaces between Vienna and Auckland. 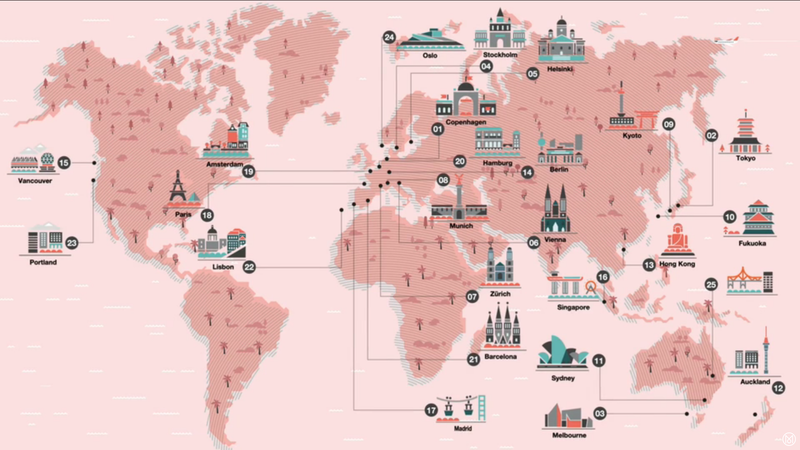 As can be seen in the images above, there are some notable similarities in the implementation of shared spaces between Vienna and Auckland, even though the cities are over 18,000 kilometres apart and have strongly divergent cultural influences. Both cities emphasise high-quality but fairly monotonous paving materials and the absence of conventional road signs, which in both cases are only required at the entry and exit points. Auckland uses less demarcation than Vienna with a tactile strip in similar colour to the other pavers to indicate the end of the exclusively pedestrian space, whereas Vienna’s demarcation is more obvious and in a contrasting shade. In both cases more use could be made of trees and other plantings to provide shade, counteract the heat island effect of impervious surfaces, and provide visual cues to slow down motorists. 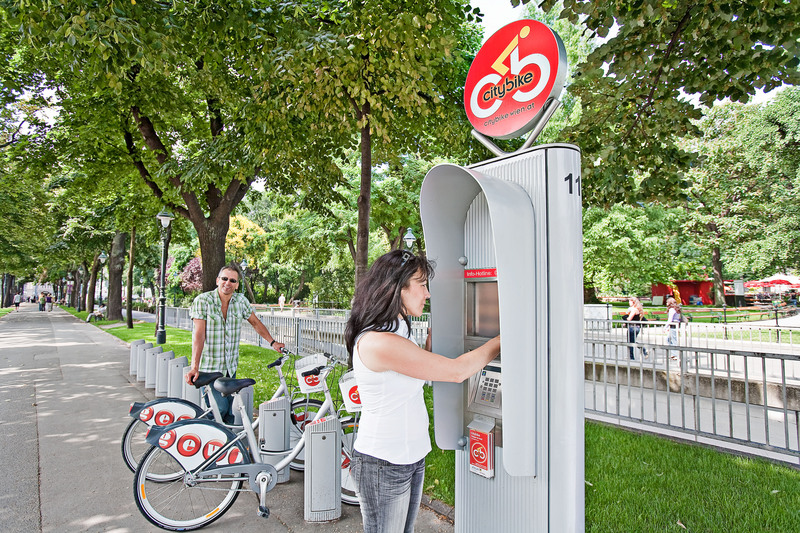 Bike parking could be much more generous in both cities. While the physical treatments are similar, public engagement processes were very different. Vienna had an elaborate public engagement process and the final decision came as the result of a referendum in the adjoining districts. In Auckland, project consultation tends to take place through the higher order documents in which they are contained – such as the City Centre Masterplan as well as through annual statutory Annual Plan/ Long Term Plan consultations with only targeted project-specific engagement with localised stakeholders. Vienna trialled the shared space approach and, as noted above, subjected the decision-making process to a referendum before moving to final implementation. Auckland proceeded straight to full implementation. 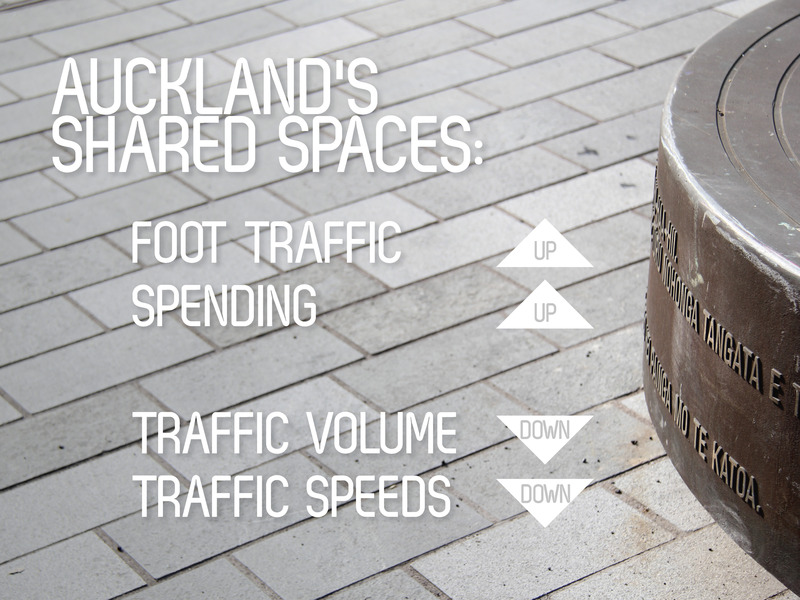 While both shared space programmes are supported by general city strategies (Auckland’s City Centre Masterplan and Vienna’s STEP 2025 Urban Development Plan), Auckland’s programme included a comprehensive plan for implementing numerous shared spaces as part of a connected laneway network while Vienna lacks an overall strategy and instead follows a decentralised approach that encourages its districts to propose streets to be transformed into shared spaces. It is also interesting to note that shared spaces in Auckland were seen as an alternative (compromise) to introducing pedestrian areas while Vienna – with almost 100 pedestrian streets all over the city – introduced shared spaces as an approach that – in the case of Mariahilferstraße – can also complement a pedestrian zone. So, while Auckland’s question is now whether to go a step further and convert shared spaces to pedestrian zones, Vienna will have to figure out which other streets it can transform to shared spaces. However, experiences from both cities show that it would probably not make sense to transform a functioning pedestrian zone into a shared space. Due to Auckland’s longer experience with shared spaces, quantitative evaluations clearly demonstrate significant increases in pedestrian volumes and retail spending as well as reductions in car volumes and car speeds. 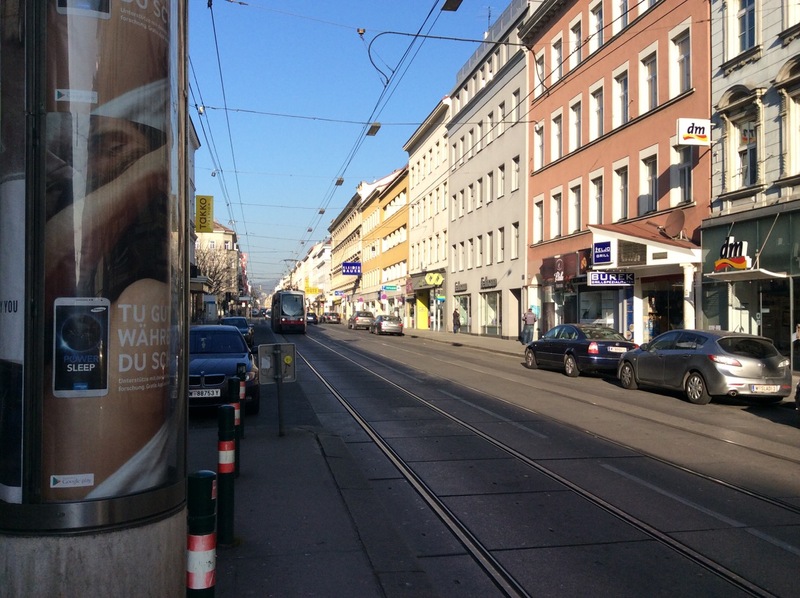 Qualitative observations as well as first reactions from citizens and businesses in Vienna point to similar effects in the redesigned Mariahilferstraße. However, as Mariahilferstraße includes both a shared space and a pedestrian zone, empirical observation and anecdotal reports indicate that pedestrians make more use of the whole street in the exclusively pedestrian zone. In all, the results from Auckland and Vienna clearly demonstrate that shared spaces work in terms of calming traffic and fostering a shift towards sustainable, multimodal transportation and deliver positive economic, environmental and social results. But, as the experience of both cities show, there are some prerequisites for shared spaces to work such as high pedestrian volumes to act as human traffic calming. However, views are mixed about how comfortable it is in reality for pedestrians to mix in an environment shared with vehicles over exclusively pedestrian spaces. The 3-part series “A Tale of Two Cities: Shared Space in Vienna and Auckland” emerged from the written assignments of Darren Davis and Andreas Lindinger for the Next-Generation Cities and Transportation course of Simon Fraser University’s Next-Generation Transportation certificate program. Andreas Lindinger is a Vienna-based Business Consultant, Sustainability Expert and Urban Thinker passionate about livable cities and sustainable transportation. 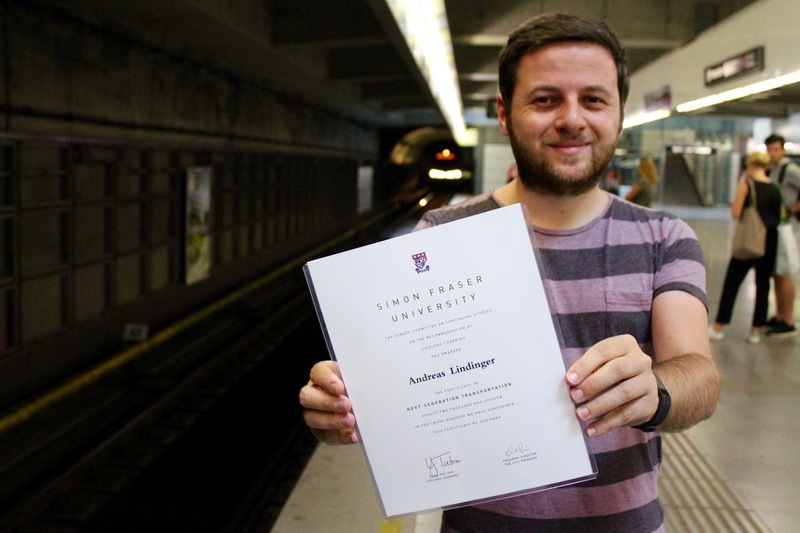 Andreas offers a transdisciplinary business, finance and sustainability background with industry expertise in energy, mobility and environmental consulting and international experience acquired in Vienna, Vancouver, Dublin and Berlin. He is recognized for discussing urbanism issues and best practices on AndreasLindinger.AT and Vienncouver.com as well as on Twitter and LinkedIn. Darren Davis is a proudly car-free principal public transport planner at Auckland Transport, leading network and service policy work. He has 20 years’ plus experience in transport in Auckland, starting out as a rabble-rousing public transport lobbyist and evolving over time into being a planner, strategist, consultant and subject area expert. In his spare time, he co-ordinates the Auckland Urbanist Group and tweets about sustainable urbanism and mobility. Follow Darren on Twitter at @DarrenDavis10. One co-author of the above post is an employee of Auckland Transport, however, the views, or opinions expressed in this post are personal to the author and do not necessarily represent the views of Auckland Transport, its management or employees. Auckland Transport is not responsible for, and disclaims any and all liability for the content of the article. 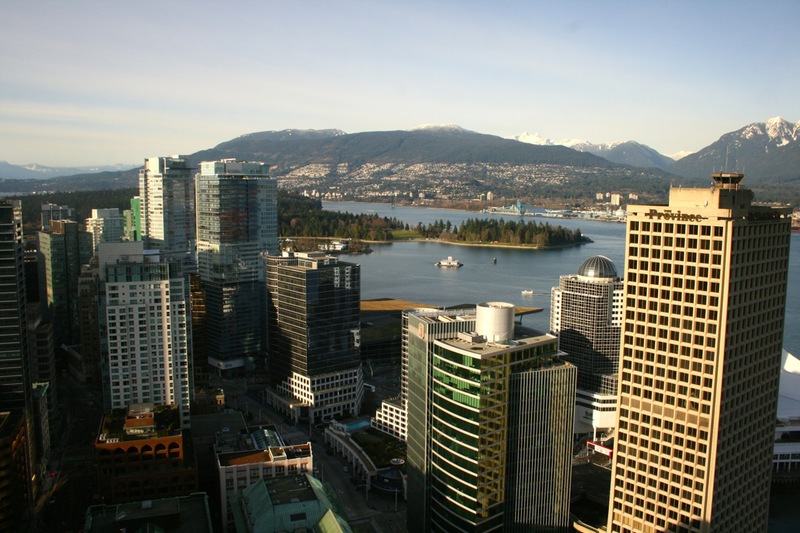 Next-Generation Transportation: Learn from Vancouver, Vienna and other Leaders in Future Urban Mobility!